We’ve written in the past about the advantages of moving away from pen and paper work orders. From streamlining processes to running leaner and more efficient, there are a variety of reasons to want more than the paper-based status quo. If you’re one of those individuals looking to make a change to your operation, you’re not alone. 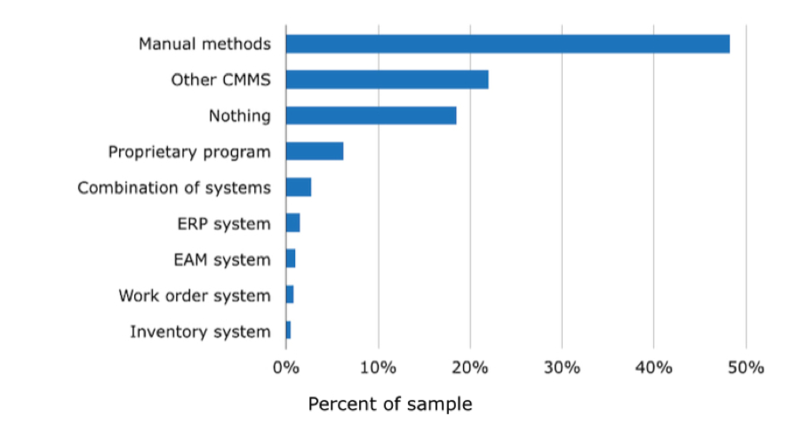 Recently, SoftwareAdvice.com released a report covering buyer sentiment in regards to computerized maintenance management systems (CMMS). The findings in the report (available for download here) are clear: most individuals responsible for managing work orders and assets are not content with their current methods. I’m sure this isn’t a surprise. There are several key findings in the report that I’d like to highlight. Number 1: 48% of those surveyed manage maintenance records manually. 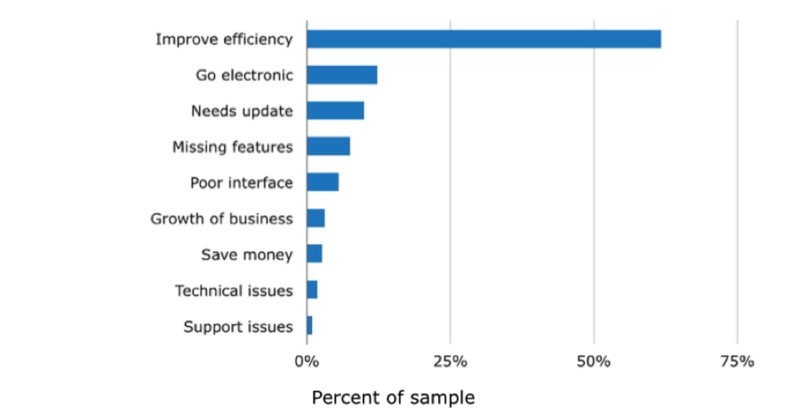 Number 2: Improving efficiency was the top-rated reason for desiring a move to a new system. While almost half of the respondents manually manage their maintenance processes, less than 30% overall actually use an electronic system to track this data. Systems exist for a reason. We’ve all see what happens when systems aren’t in place, or systems break down: things fall through the cracks. This isn’t due to negligence or any nefarious reason. It’s just simply difficult to manage all this in your head, or on pen and paper. Let’s move on to Number 2. I’m of the opinion that most people want to do their best and if given the opportunity, will strive to do so. As the report uncovered, 62% of respondents are looking for a CMMS in order to improve efficiency and streamline operations. We’ve written in the past about prioritizing efficiency and collaboration in field operations here and here. It’s simply too difficult to substantially improve work order tracking, asset tracking and service delivery using out-dated methods (read: on pen and paper). While I am admittedly biased, one final aspect of the report I’d like to draw attention to is the increasing desire of respondents to have the ability to create work orders not only in the office, but in the field or anywhere else. This finding comes back to something we talked about in our first blog post. 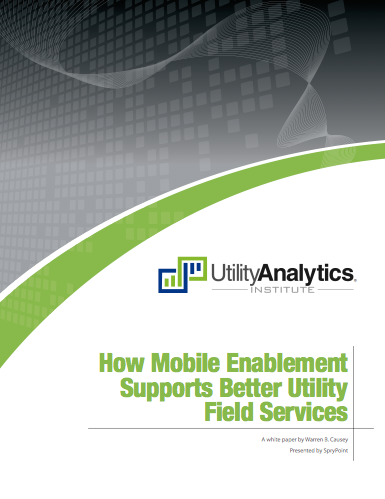 If you consider mobility and connectivity in field operations as simply a technological trend, you may need to take a second look. When it comes to efficiency, it’s not just about the technology but how you leverage it into a core component of the way you manage your operation. There is no doubt that technology is a big part of the operational efficiency puzzle. If you’re considering a move away from manually tracking your maintenance, work order and asset data, I recommend you take a look at the report to see how your needs align with others pondering a similar move.